You might think Honda would have learned from its disastrous experience with the first generation Accord Hybrid, but apparently not. For three short years Honda tried to sell the Accord Hybrid with little success. Now, seven years later, Honda is set to make a similar mistake with the 2014 Accord Plug-in Hybrid. It was in 2005 that Honda released the first Accord Hybrid. It was a nice car with decent EPA numbers: 29 city, 37 highway. However, automotive publications at the time considered those numbers wildly optimistic. In 2006 the EPA revised its ratings for the Accord Hybrid to a less optimistic 25 city, 34 highway. And that was pretty much the end of the Accord Hybrid; by 2008 it was gone. 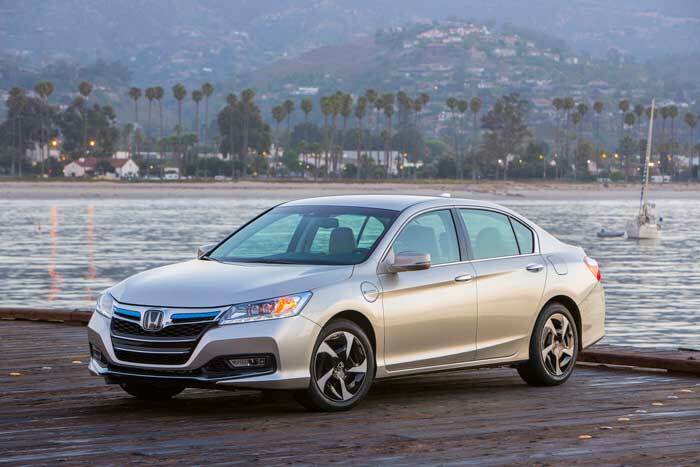 Part of the problem was Honda made the decision to mate its Integrated Motor Assist system with the Accord’s six-cylinder engine, thereby choosing performance over economy. Now Honda has released the Accord Plug-in Hybrid, a car more expensive than either the Chevy Volt or the Ford Fusion Energi. It has some nice standard features such as LED Headlights and GPS navigation but one glaring drawback. This quote struck me as odd, as while there have been improvements in battery charging technology I wasn’t aware of any that could fully charge charge a lithium-ion battery meant to power a medium sized car in only 3 hours and end up with an EV range of any consequence. The only explanation for such a quick recharge is there isn’t much battery to charge. And sure enough the maximum EV Mode Driving Range Rating is only 13 miles. The limited range of the Accord PHEV looks even worse when viewed next to two Plug-In Hybrid competitors: the Ford Fusion Energi and and the Chevy Volt. **Based on an electricity cost of $0.12/kWh and gasoline prices of $3.61 per gallon for regular and $3.92 per gallon for premium. The good new is Honda will be releasing the Accord Hybrid later this Fall. The EPA estimates the Accord Hybrid will get 50 miles per gallon in city driving and 45 miles per gallon on the highway for a combined 47 miles per gallon. The base price is $29,945 (not including destination fee). Of course there isn’t a federal tax credit but its cost to drive 25 miles is only $1.79 according to the EPA. What you have with the Accord Plug-in Hybrid is an expensive, very limited range electric vehicle. It is only available in California and New York in very limited quantities – which may be for the best as it isn’t likely to be a big seller. For the money, a better choice is either the Ford Fusion Energi which provides more EV range at a lower price or the Accord non-Plug-in Hybrid.